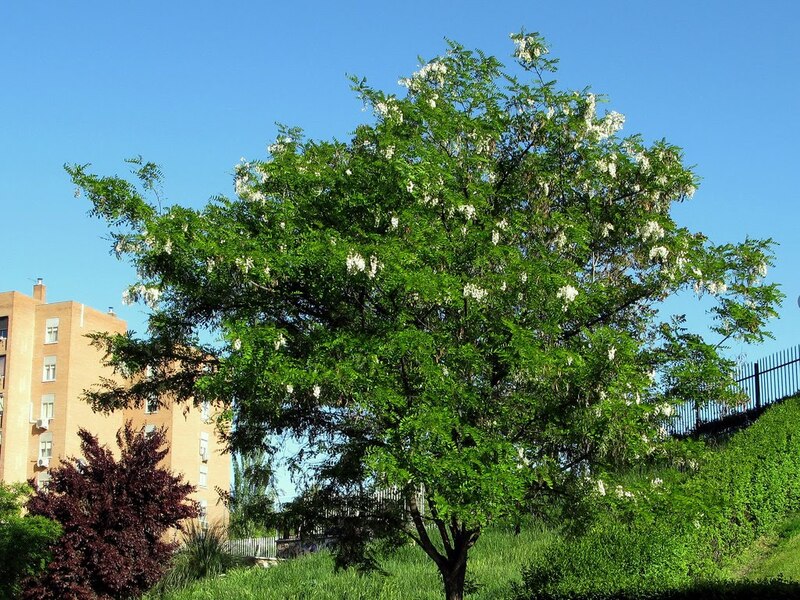 A tree with feathery green foliage and fragrant white blooms that attract bees. 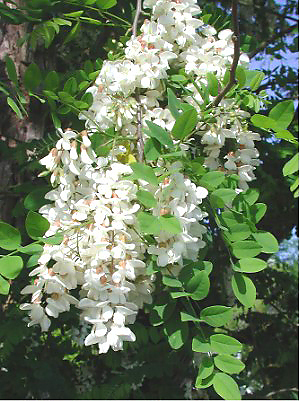 Black locust is originally from the Appalachian mountains but has spread over much of the United States. 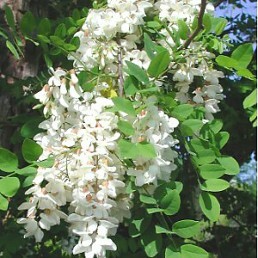 Fragrant wisteria-like flowers bloom in the late spring. In the summer the tree is covered with flat, brown seed pods about 4-5 inches long.